In a world that is over-saturated with the prevalence of ‘stuff’ and the need to have as much of it as possible, minimalism is a welcome breath of fresh air. Minimalism is a mindset and a way to live your life that has been trending upward in mainstream Western areas for years now. 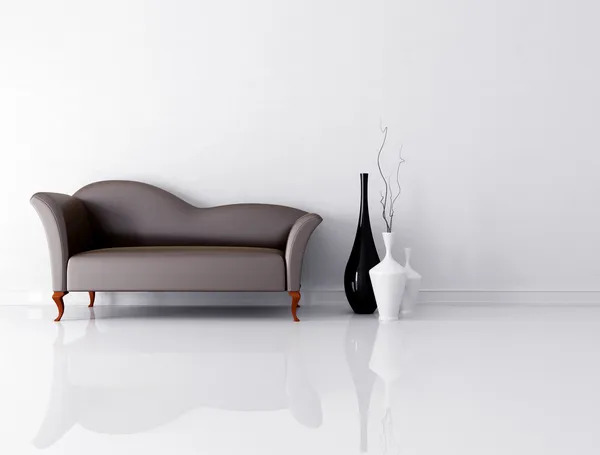 Once considered to be ‘odd’ or ‘poor’, minimalism is something that just about anyone can engage with and embrace thus making their lives better as a result. Today we are going to walk you through a sort of beginners guide to minimalism which will explain what the lifestyle is, how it can benefit your life, and how you can apply it to your day to day experience. Minimalism as Artwork: The minimalism movement in the world of art started after World War II in the West and largely got going in the early ’60s. Minimalism in artwork, whether music or painting and anything in between, is all about doing more with less. Conditioning your canvas to have fewer objects allows the viewer to focus in and appreciate each piece all the more. Popular minimalist artists include Agnes Martin, Frank Stella, and Donald Judd. Minimalism as Lifestyle: The primary aspect of minimalism that we are going to discuss today revolves around minimalism as a lifestyle. We’ll briefly touch on it here before expounding later on in this piece. Minimalism as a lifestyle is very similar to how it is perceived in artwork. That is to say, minimalists believe in off-loading the burdens over over consumption. Some people turn to minimalism in order to calm the anxiety of having ‘too much’ while others follow minimalism as a practical step due to limited funds or living space. There are many religions that advocate for following minimalism as a set way of life, but it is not a movement that has to be grounded in any type of spirituality. If you have gotten to this point you are at least considering living life as a minimalist. The question has to be going through your mind, is minimalism for you? Minimalism is a way of life that not everyone can engage in. If you are still interested despite knowing this fact then keep on reading. We will list a few perks of becoming a minimalist and you can decide if it is worth the effort. Calmer Living: Minimalists who get into the act of reducing their ‘inventory’ of stuff come to realize the power in the moment. As a result minimalists end up becoming in tune with their own mind. They are able to slow things down, calm themselves, and focus on the here and now. That’s a fantastic ability for people prone to anxiety. Cheaper Living: What’s better than slowing down your anxiety? Saving money. Minimalists know the value of a purchase and how much it actually costs. As a result they end up not spending as much money. Minimalists also don’t have to have as large of a home as they make even small spaces comfortable. We’ve now detailed two of the primary meanings of minimalism so now we are going to shift our focus over to actually pursuing it as a lifestyle choice. When people first engage with the concept of minimalism they understandably come to the conclusion that they must simply shed themselves of excess items. While this is a logical approach it is not the only way that you can engage in minimalism. Here are a few tried and true techniques to become a minimalist. Inventory Your Possessions: This may seem like a mind boggling step to start with but it is really quite important. Sometimes taking a look at all of the things you own can be an eye opener as to what you need to limit yourself with. We suggest taking a notepad and splitting up your possessions into several categories: clothing, cooking, entertainment, and essentials. Once you list all of the major and minor items in your home you will see what you can live without. Prepare to Donate: Minimalism isn’t about throwing away all of your excess junk. A minimalist knows the value in an object but they also know the value in passing that object on. The extra items that you can live without should not be tossed in the trash to become clutter elsewhere. Instead take what you cannot sell to a donation location and pass the items on to a new home. Write Your Goals: Why do you want to become a minimalist? Are you doing it to save money? Are you doing it to improve your mental health? Write down all of your reasons in a notebook. These are your private notes, written only for you. Use them as motivation to keep yourself on the right track. Focus on Experiences: One of the greatest perks of becoming a minimalist is that you save so much money that you can afford to go out and live for experiences. Instead of buying items that will end up in your closet or storage shed focus on traveling and living your most exciting life. Experiences will never leave you. Are you a minimalist? Read our ultimate guide to minimalist living. Are you a minimalist? If you want to live like one, check out our simple minimalism guide.